Thanks for your message. We’ll get back to you as soon as possible. 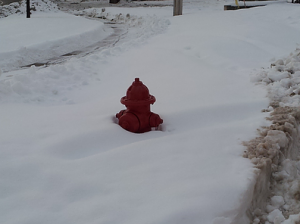 As Farmington is often hit with heavy snow storms during the Winter months we need your help to keep quick access to the hydrants in case of an emergency. As you can imagine, the mitigation of a structure fire is a very time sensitive event where every second counts. Any delay getting to the water source could change the outcome of our efforts for the worse. 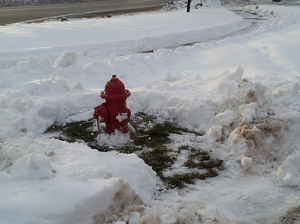 We humbly request your assistance in our efforts to keep quick and easy access to the hydrants near your home. Please take a few minutes after each storm to work with your neighbors to clear the snow from around the two hydrants nearest your home. Below are pictures to illustrate the before and after scenario we would like your help with. Ideally, we need a minimum of three feet cleared from around the hydrant with an access path from the hydrant to the curb. If you are in need of assistance with the clearing of your closest hydrants due to a physical disability or any other reason please call the Farmington Fire Station at 801-451-2842 and we would be happy to come out and help.